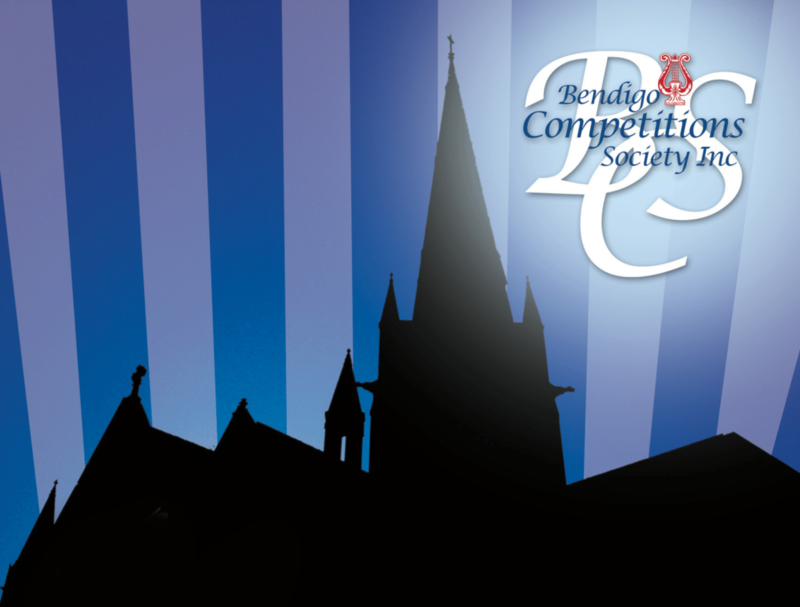 General Conditions – Bendigo Competitions Society Inc. COPYRIGHT: IN ACCORDANCE WITH FEDERAL STATUTES, COMPETITORS MUST USE ORIGINAL MATERIALS OR HAVE PERMISSION FROM THE RELEVANT OWNERS OF COPYRIGHT TO MAKE AND USE COPIES OF COPYRIGHT MATERIAL AT THIS EISTEDDFOD. BENDIGO COMPETITIONS SOCIETY INC. WILL NOT BE LIABLE FOR ANY INFRINGEMENTS REGARDING COPYRIGHT. 1.1 Music: This Eisteddfod is open to amateurs. 1.2 Classical Ballet and Theatrical Dance: This Eisteddfod is open to amateurs and professionals. 3.1 A competitor agrees to adhere to prescribed time limits. www.bendigocomps.org.au – for relevant dates. 4.2 A competitor may be called upon to produce proof of age. 4.3 The Society accepts no responsibility for any entry that is not received. 5.1 A competitor is not entitled to a refund in the case of a non-appearance in any section. 6.1 The Society reserves the right to cancel or combine any sections at its discretion. 7.1 Any teacher, competitor or interested party is prohibited from communicating with an Adjudicator prior to, and during, the Eisteddfod. 7.3 The Adjudicator’s decision shall be final as to whether an item proposed, or presented by a competitor, complies with the section criteria. 8.1 If any competitor leaves the stage empty once a performance has commenced, the competitor will be adjudicated for a critique only. A solo competitor can appear again with the same condition applying. 9.1 A competitor must register at the registration table at the venue on the day of the competition. 9.2 A competitor is required to register well in advance of the commencement of his/her section. 10.2 A competitor entering any of the above sections should check the specific entry conditions regarding repetition. 11.1 A competitor will appear in the order in which they are listed in the program. In the case of special circumstances, the Committee may agree to vary this. 12.1 If less than four (4) competitors perform in a section where cash prizes are awarded, second and third prizes will not be awarded unless recommended by the Adjudicator. 12.2 In the case of a tie for a cash prize, the cash prize will be equally divided between the winners. 13.1 No rehearsal is permitted on the stage during the Eisteddfod. 14.1 No unauthorized personnel are permitted backstage. 14.2 Permission to be back stage must be obtained from the Stage Manager on duty. 14.3 Entry to backstage from the auditorium via the stage door is permissible for teachers and committee members only. 15.1 The use of these by any member of the audience is strictly prohibited in the auditorium during the competition. Pagers and mobile phones must be turned off while in the auditorium. Offenders may be removed from the auditorium and the recording destroyed. All performances are copyright. 16.1 The Society reserves the right to record, photograph, broadcast and/or telecast the whole or any part of the competition for the purpose of promotion. By submitting your entry you have automatically granted permission for digital images or videos to be used for promotional purposes. 17.1 Any protests are to be made in writing within forty eight hours of the competition and to be accompanied by a deposit of $20.00. If the protest is upheld the deposit will be refunded. If the protest is not upheld the deposit will be forfeited. 18.1 The decision of the Society in all questions or disputes arising out of and not provided for by these conditions will be final. All entries are received subject to this proviso and shall not be subject to any appeal of law. 19.1 Competitors acknowledge that they compete at their own risk. 19.2 The safety of all competitors is of primary concern. The Committee, Stage Manager or Adjudicator has the right to stop an item if they are of the opinion a competitor has suffered a serious injury or is in danger of possible injury. 19.3 In the event of an emergency that requires evacuation, patrons are requested to follow the directions given by the committee.